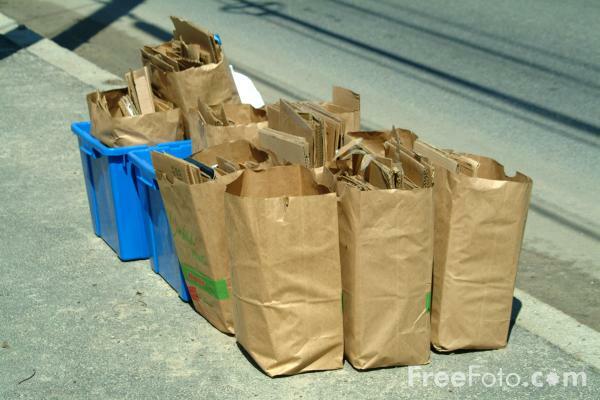 July 12th is... Paper Bag Day, Different Colored Eyes Day, National Eat Your Jello Day, National Pecan Pie Day, Simplicity Day, Night of Nights (Maritime Radio), Orangemen's Day, Battle of the Boyne, Etch A Sketch Day. -- With a little imagination, the answer is plenty! Armed with scissors, tape, and glue, it's easy to turn an ordinary paper bag into an extraordinary hat, wig, mask or crown. Simple step-by-step instructions show readers how to make a golden crown, a curly Baroque wig, Perseus's winged helmet, a pharaoh's headdress, George Washington's wig, a Japanese geisha hairdo, an African mask and sixteen other imaginative designs. An engaging activity book for both home and classroom, What Can You Do with a Paper Bag?, inspired by works of art from The Metropolitan Museum of Art, will provide hours of educational and entertaining dress-up fun. • Bag Skit - In this drama activity, children use props from around the house to perform skits. • Brown Paper Bag Day - Taking place on World Food Day, Tuesday, 16 October 2018, donate what you would normally spend on your lunch to the Feed Geelong Appeal via your Brown Paper Bag.